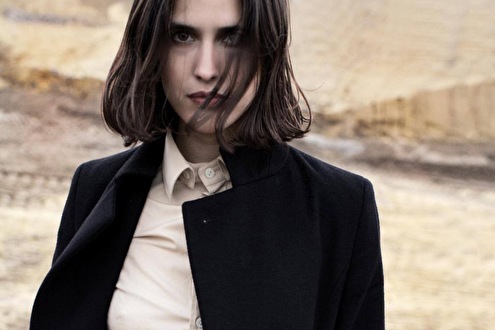 Helena Hauff is a DJ and producer from Hamburg, Germany. Her sonic aesthetic is rooted in a twilight-lit area of colliding sharp acid sounds, cold Detroit rhythmics, monolith industrial scapes and even minimalist wave atmospherics. Helena's sound world is intense, electrified, futuristic, but with strong traces of underlying emotionalism and experimentalism. During a relatively short time she managed to release several releases on such notable labels as Werk Discs, Ninja Tune, PAN and Blackest Ever Black. Her influences can be spotted in her precise and eclectic mixtapes, where heavyweight industrial beats, abstract experimentalism meet EBM rawness or the elegance of more atmospheric forms of techno. Helena's musical path started from digging records from her local library collection, which led her to early exposure to such artists as The Cure or Karlheinz Stockhausen. This helped her to develop a unique taste and use it for realising her own artistic visions. Moreover Helena's creativity stretches far beyond her solo moniker. She recently joined James Dean Brown in his legendary neo-tribal Hypnobeat project. In addition, she is also half of Black Sites project along with F#X, which also has releases on Panzerkreuz and PAN labels. Moreover Helena is a resident of Golden Pudel club in Hamburg.